They say the apple doesn't fall far from the tree, and one celebrity offspring is proving that to be true. North West dressed like Kanye in an oversized gray shirt and gold chain necklace while out and about in New York City, channeling her father's signature style — cue the harmonious awww. The tiny tot was spotted in NYC on Monday, looking like the spitting image of her daddy. She donned a baggy gray sweatshirt top (sans hood) with a thick gold chain strung around her neck. She paired the top with black shiny pants, cuffed at the ankles, and black Doc Martens. The ensemble looked as if it was taken straight out of Kanye's closet and shrunk down to toddler size to fit North. Little Nori's locks were pulled up into a tight bun, just like Kim Kardashian's were on that day. In addition to inheriting her fashion savvy dad's keen eye for style, it seems she's gotten a thing or two from her mom as well. With parents like Kim K and Kanye, there's no way she wouldn't be killing it in the wardrobe department. At just two years old little Nori is already quite the fashionista. With custom-made Balmain at her disposal and an endless collection of designer shoes, this little one is on her way to dominating the fashion world. Check out North's Kanye-inspired look. 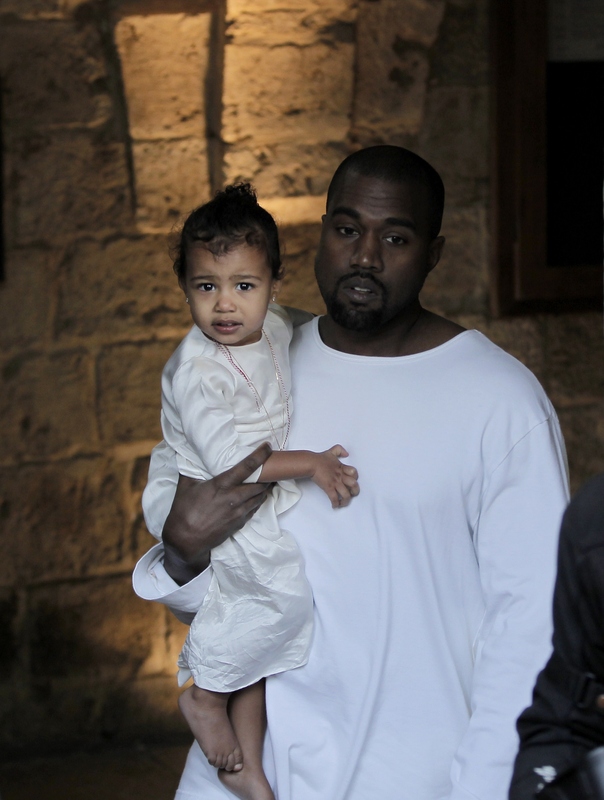 This isn't the first time little North West copied her daddy's outfits. Take a look at five other times the two were basically twins. It seems that wasn't the first time North stole her daddy's chain. The whole family got in on this one.